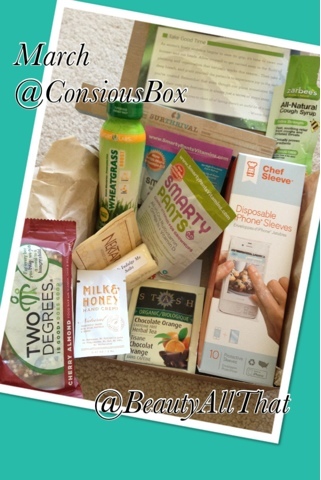 This month's Conscious Box was a nice surprise focusing on different healthy items, rather than just snacks. Next month's April box should be great since it is Earth Month! Cannot wait!! Join soon to get yours for next month!